Properly working brakes are crucial to the performance and safety of any vehicle, but how can you ensure that your car stays in top condition? Routine car brake service can help prolong the longevity of your car brake system, and technicians can catch any troublesome issues before they become more serious. Disc brakes are the most common car brake systems on the market today. As you press the brake pedal, a set of mechanical pinchers squeezes the discs and causes motion to stop. Those who drive with a “heavy foot” may find that the lifespan of the car brake system is reduced, since these habits put extra wear and tear on the brake pads and rotors. We recommend scheduling your car brake service every 6 months or 6,000 miles to get the best performance out of your vehicle. During a typical car brake service, technicians will inspect your car brake system for abnormalities: thin brake pads, worn rotors, leaking fluid, and other issues. Ready for your inspection? 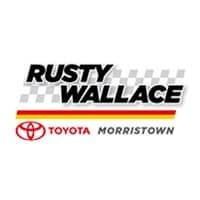 See what we can do for you at Rusty Wallace Toyota in Knoxville, near Sevierville and Morristown.